Now we all know the farther from the modem/router you get, the worse the signal is. 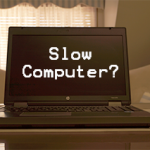 But when you can’t move your room closer to the router or the router closer to your room, what do you do? 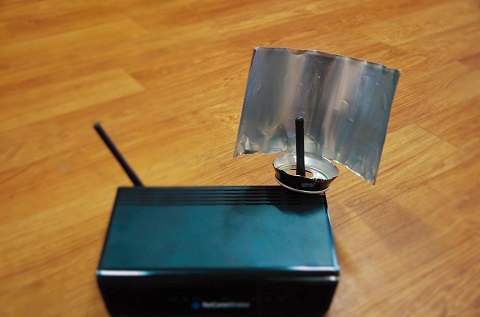 Well, with this little modification you could boost your WiFi signal, so let’s jump into it! Firstly, make sure your router is away from the cordless phone and microwave. Microwaves and cordless phones also use a frequency similar to your router, which can cause disruption for your devices. Make sure you have a Pintrest account so you can show off your DIY skills. First of all you want to drink that delicious beverage and then wash it out so you don’t have a army of ants in three days. Use your stanley knife to cut around the bottom brim of the can (please use parental supervision and/or outsource this job to a suitably coordinated adult). Using scissors cut down the opposite side you drink from (cheat and look below if this doesn’t make sense). Now grab your stanley knife again and cut evenly around the top of the can starting from where you cut with the scissors, but don’t cut the mouthpiece off the can (again, cheat below). Safely put the can’s mouthpiece over the antenna and face the can in the direction you would like to broadcast to. As you can see from the picture below your router should now look like this. *TIP* If you get some blu-tack and stick it around the mouth hole it will help you position the can a lot easier. 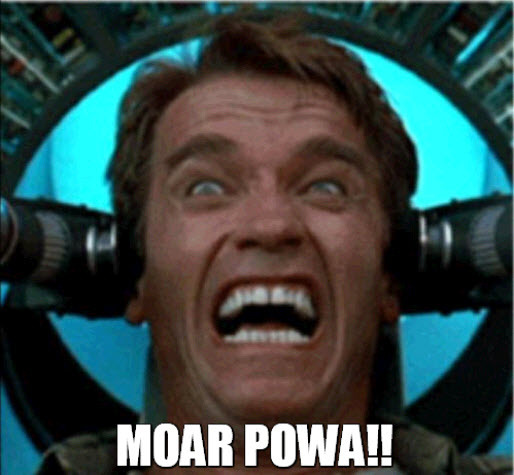 Complicated physics will tell you that the more power you put through an antenna, the stronger the signal. Business grade access points will provide stronger signal farther than consumer equipment. We can advise you on a suitable access point for your needs. Give us a call on 02 6884 5922 or email team@crt.net.au. 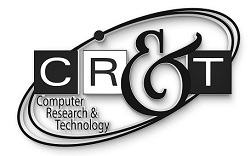 Jason may be the newest member of the technical team at CR&T, but what he lacks in experience he makes up for with the sheer number of words he speaks each day.